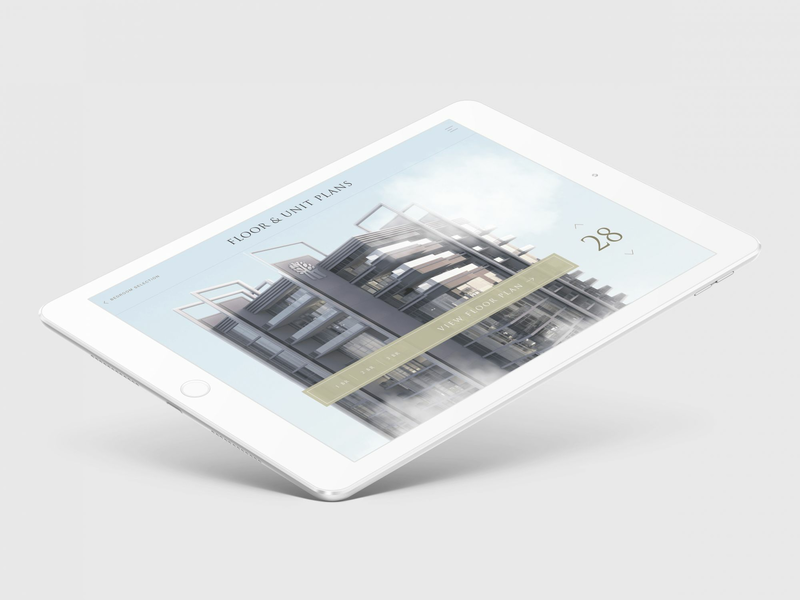 Helping prospective buyers visualize every last detail of their potential new home, we created an iPad Pro App to be used in the sales center. 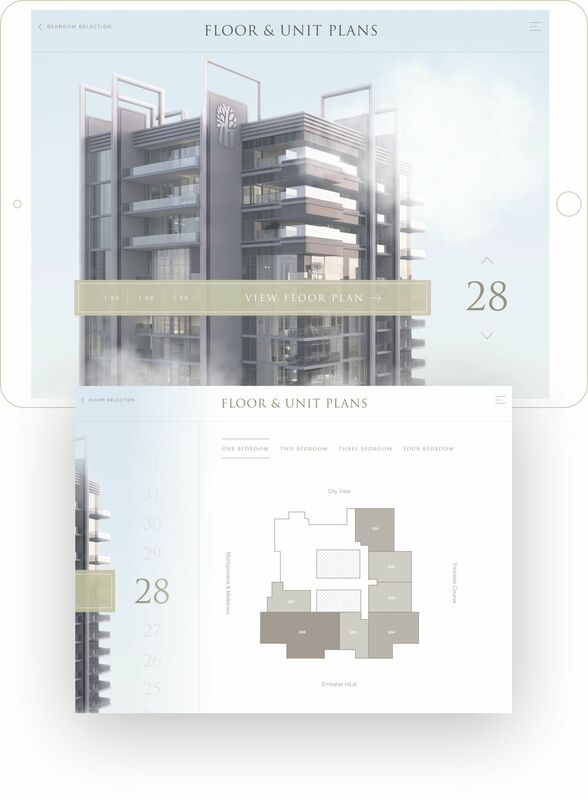 The app features an interactive masterplan, floor plan selector, video content and 360 views from the building. 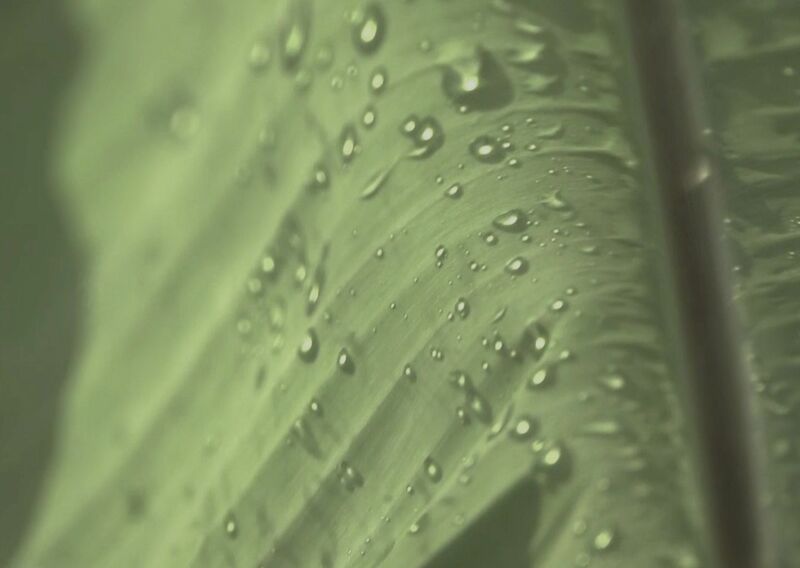 The app is linked to television screens in the center, when not in use the screen displays a mood video in keeping with the Banyan aesthetic. Once a user interacts with the iPad the menu is displayed. 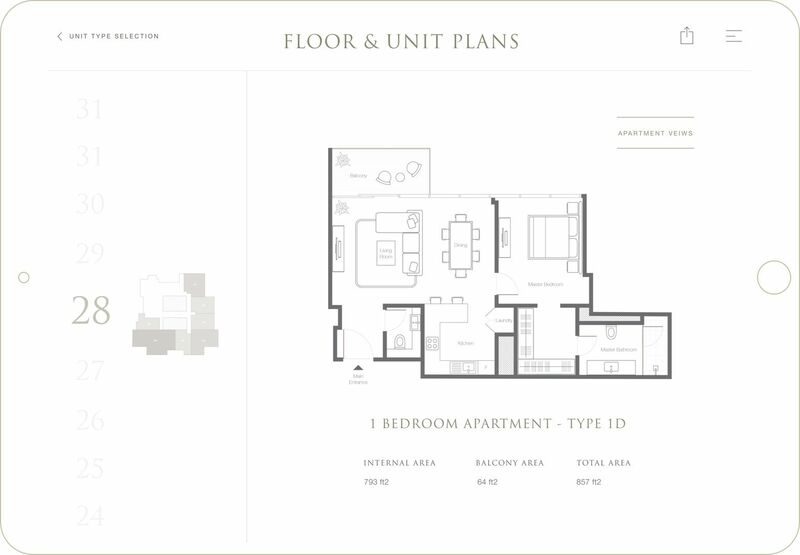 The key feature of the app is the unit and floor plan guide. 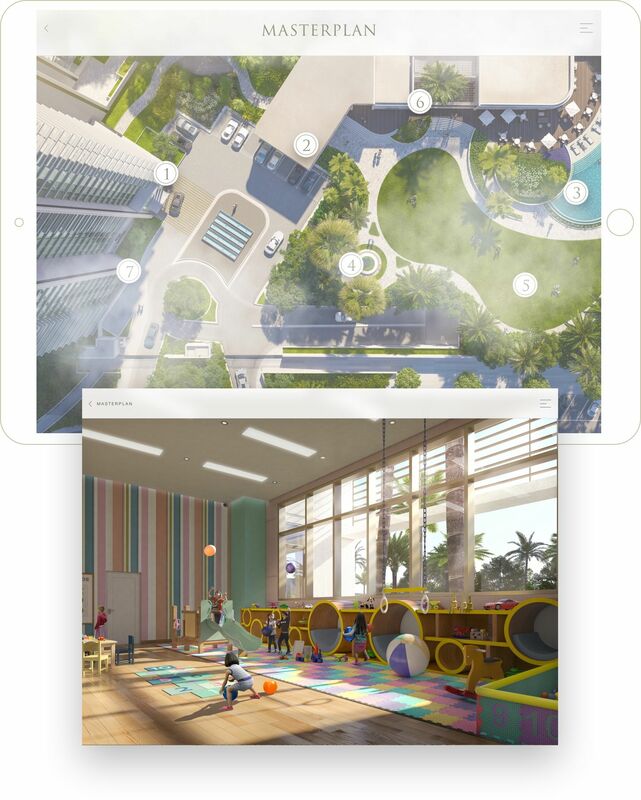 Here the user can scan up and down the building to select the floor, choose the applicable number of bedrooms, see the available units and review the unit plan. The agent can also email the selected guide to the buyer directly from the app.